Upon graduating with degrees in Film and Television production, Lauren and Molly drove across the country for two months to shoot their documentary and began to implement their assembly program into schools across the nation. 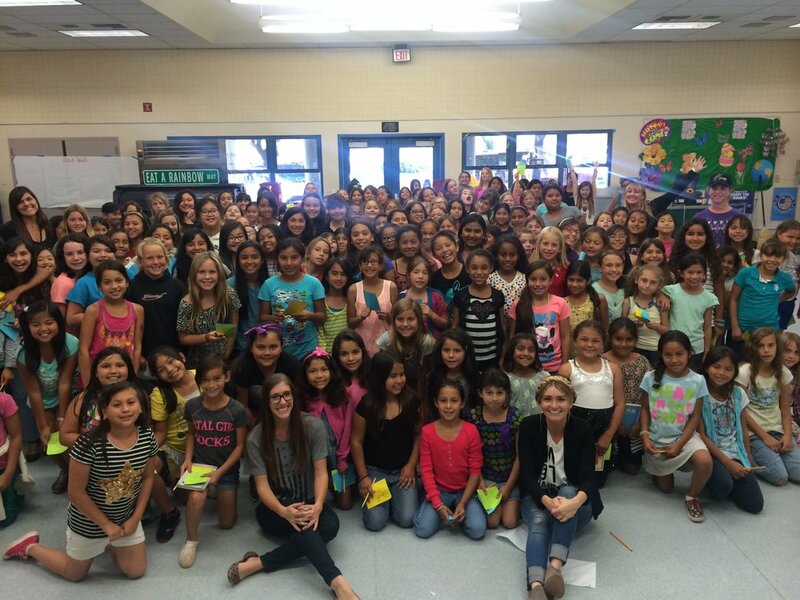 Girls across the country were deeply impacted and word spread quickly about their life-changing assembly program. After a year working on the documentary and spreading the movement, they were ready to bring the finished film into schools and venues across the world. Their documentary, Finding Kind, was released in theaters in New York and Los Angeles, was accepted and awarded in over 20 film festivals and has screened in thousands of schools across the world. Finding Kind is at the heart of the Kind Campaign assembly, which now takes place in schools almost every day of the school year and serves as a life-changing educational tool for students, faculty and parents across North America. Since 2009, Lauren and Molly have held Kind Campaign Founders Assemblies in thousands of schools across North America and have completed eleven international anti-bullying school tours. Kind Campaign releases new and exciting initiatives each year such as their 19-week Kind Club Curriculum and Kind Camps. With their documentary, assemblies, annual tours, Kind Club Curriculum, Kind Camps and their connected and deeply supportive online community, Kind Campaign serves as the premiere anti-bullying movement for girls and has impacted millions of individuals across the globe. Find out more about Kind Campaign at www.kindcampaign.com.